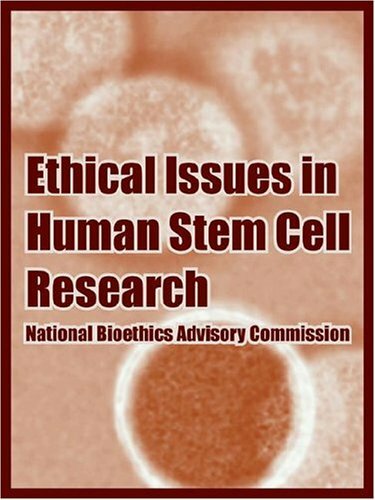 In November 1998, President Clinton charged the National Bioethics Advisory Commission with the task of conducting a thorough review of the issues associated with human stem cell research, balancing all ethical and medical considerations. The President’s request was made in response to three separate reports that brought to the fore the exciting scientific and clinical prospects of stem cell research while also raising a series of ethical controversies regarding federal sponsorship of scientific inquiry in this area. Scientific reports of the successful isolation and culture of these specialized cells have offered hope of new cures for debilitating and even fatal illness and at the same time have renewed an important national debate about the ethics of research involving human embryos and cadaveric fetal material. The stem cell is a unique and essential cell type found in animals. Many kinds of stem cells are found in the body, with some more differentiated, or committed, to a particular function than others. In other words, when stem cells divide, some of the progeny mature into cells of a specific type (e.g., heart, muscle, blood, or brain cells), while others remain stem cells, ready to repair some of the everyday wear and tear undergone by our bodies. These stem cells are capable of continually reproducing themselves and serve to renew tissue throughout an individual’s life. For example, they constantly regenerate the lining of the gut, revitalize skin, and produce a whole range of blood cells. Although the term stem cell commonly is used to refer to the cells within the adult organism that renew tissue (e.g., hematopoietic stem cells, a type of cell found in the blood), the most fundamental and extraordinary of the stem cells are found in the early stage embryo. These embryonic stem (ES) cells, unlike the more differentiated adult stem cells or other cell types, retain the special ability to develop into nearly any cell type. Embryonic germ (EG) cells, which originate from the primordial reproductive cells of the developing fetus, have properties similar to ES cells. It is the potentially unique versatility of the ES and EG cells derived, respectively, from the early stage embryo and cadaveric fetal tissue that presents such unusual scientific and therapeutic promise. Indeed, scientists have long recognized the possibility of using such cells to generate more specialized cells or tissue, which could allow the generation of new cells to be used to treat injuries or diseases, such as Alzheimer’s disease, Parkinson’s disease, heart disease, and kidney failure. Likewise, scientists regard these cells as an important— perhaps essential—means for understanding the earliest stages of human development and as an important tool in the development of life-saving drugs and cell-replacement therapies to treat disorders caused by early cell death or impairment. 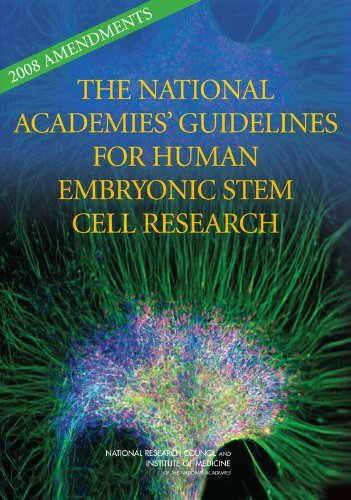 In 2005, the National Academies released the report Guidelines for Human Embryonic Stem Cell Research, which offered a common set of ethical standards for a field that, due to the absence of comprehensive federal funding, was lacking national standards for research. In order to keep the Guidelines up to date, given the rapid pace of scientific developments in the field of stem cell research, the Human Embryonic Stem Cell Research Advisory Committee was established in 2006 with support from The Ellison Medical Foundation, The Greenwall Foundation, and the Howard Hughes Medical Institute. As it did in 2007, the Committee identified issues that warranted revision, and this book addresses those issues in a second set of amendments. 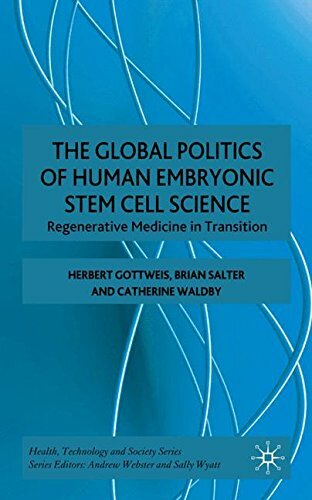 Most importantly, this book addresses new scientific developments in reprogramming of somatic cells to pluripotency by adding a new section and revising other relevant sections of the Guidelines.